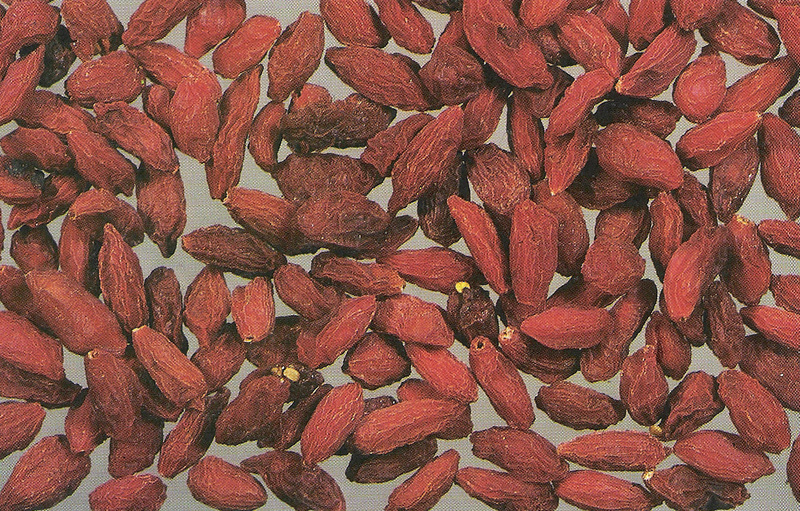 Click here for more detailed info on the amazing medicinal effects of Goji Berries. Thanks, Dan, for your re-mix of the original recipe, which can be found here. This entry was posted on Monday, August 20th, 2012 at 5:07 pm	and is filed under Anti-Inflammatory, Asian Herbs & Foods, Detox, Sweet Treats. You can follow any responses to this entry through the RSS 2.0 feed. You can leave a response, or trackback from your own site. 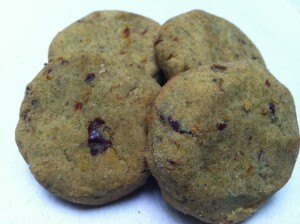 This was my first time to try mung bean cookies with red dates in class. The taste is kind of new and interesting to me. Therefore, I am wondering after mung bean and red dates mixed together, will cancel off each other functions or not? 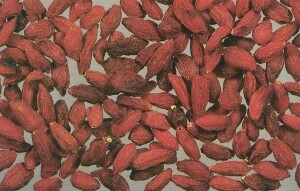 Because mung bean is cold type herbs and red dates are warm type herbs. Or their function change to NEUTRAL after they mixed? This is my first time to try Mung Bean Red Dates Cookies in class. The taste is good. 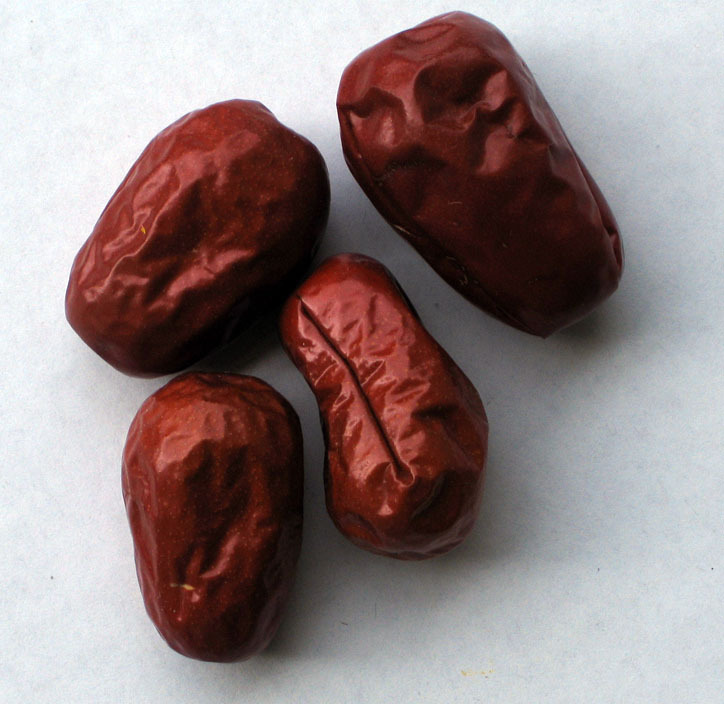 The red dates act like raisin. I never thought about we can combine red dates and mung bean together. 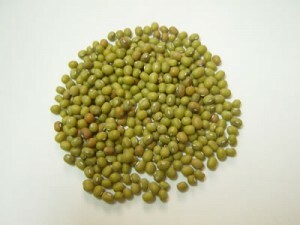 Especially, their temperatures are difference, one (Mung Bean) is cold and the other one (red dates) is warm. I am also wondering, will this combination cancel off each other after they combined (e.g. warm + cold – > neutral?). Awesome tasty and light treat!! Are cookies like these stabilizing to blood sugar? I always have a sweet tooth and am looking for ways to have some healthy sweets in my life without damaging the spleen. I would like to try to make these as a healthier cookie alternative. So far I have only tried mung bean pancakes at the Korean restaurant, Bowld, on Solano Ave. They were really tasty and gluten free! However this recipe seems very different as a sweet option. I have found a recipe for crunchy mung beans that would also be good for traveling in summer-heat conditions. I’ve seen these while traveling SE Asia, but have yet to attempt making them myself. Soak beans for an hour, and then dry them. Heat pan, pour in oil and heat and then brown the beans. In mixing bowl add cooked beans, green onion, chili pepper and salt. Serve. Thanks for the great recipe! Project for class next trimester?